A late 18th century chateau, its private 18-hole golf course, its clubhouse and its many outbuildings in some 48 ha to the south of Burgundy in the Brionnais region - chateaux for sale France - in Sologne, Touraine, Loire valley, Burgundy, Auvergne. 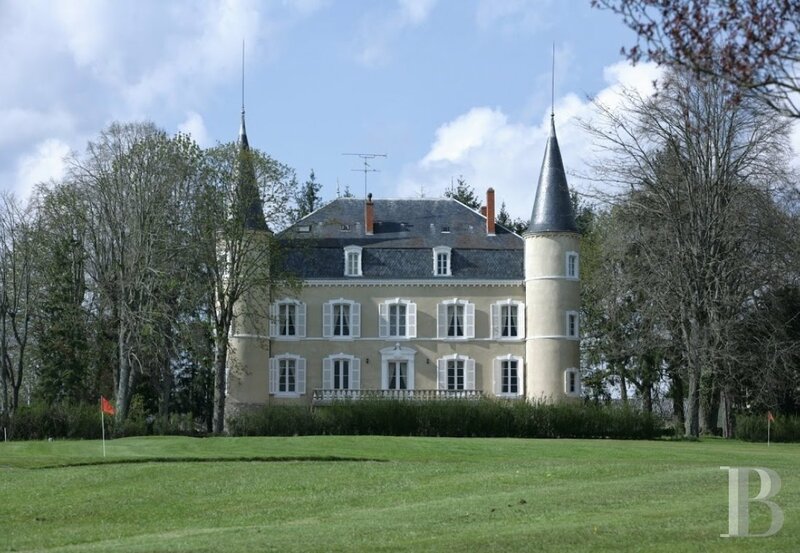 - Patrice Besse Castles and Mansions of France is a Paris based real-estate agency specialised in the sale of Castles / chateaux. Brionnais is a little region in the south of Burgundy, between the tranquil waters of the Loire and the foothills of the Charolais mountains. 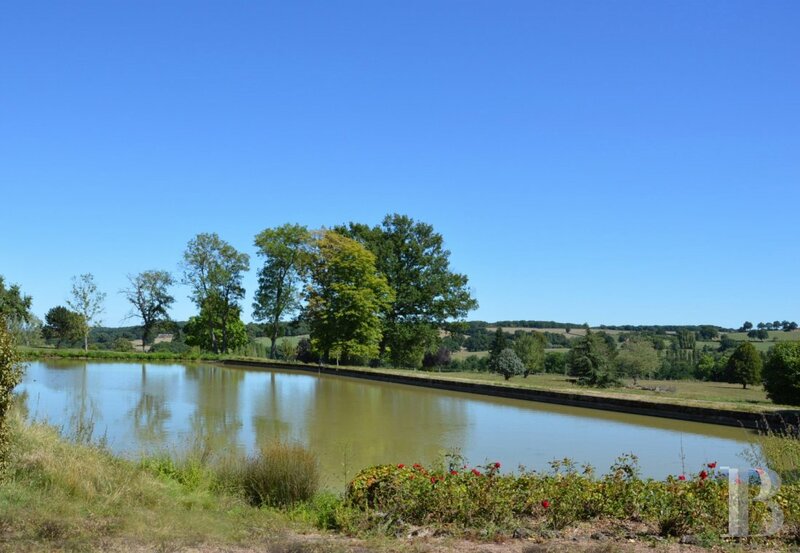 It begins to the north of the town of Roanne and ends around the famous sanctuary of Paray-le-Monial. Grasslands, meticulously delimited by hedges and trees, prevail. The landscape is that of a vast, serene, quiet garden. 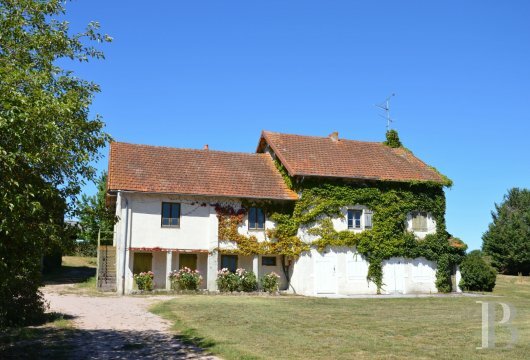 It is a land that has preserved its identity despite being near to large urban areas such as Clermont-Ferrand and Lyon, 90 minutes away by car, as well as Mâcon and its TGV train station with links taking less than two hours to reach Paris. 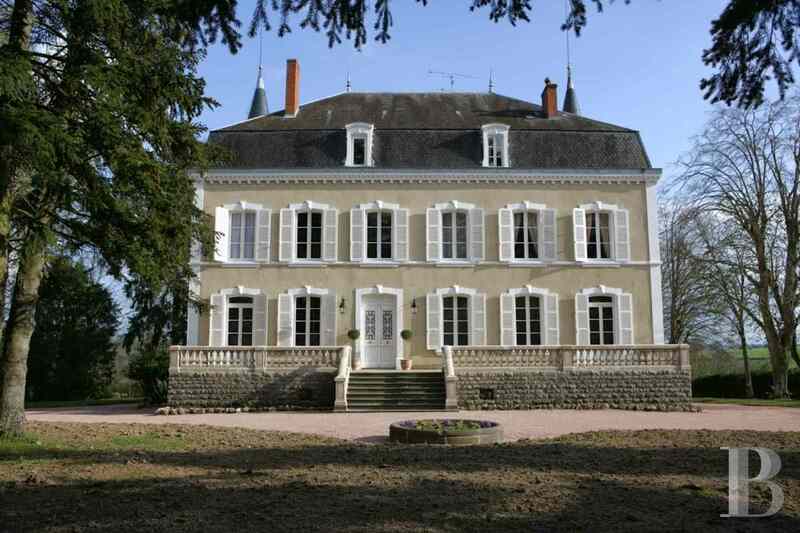 It is 2 hours away from Saint-Exupéry airport with one-hour flights to London. 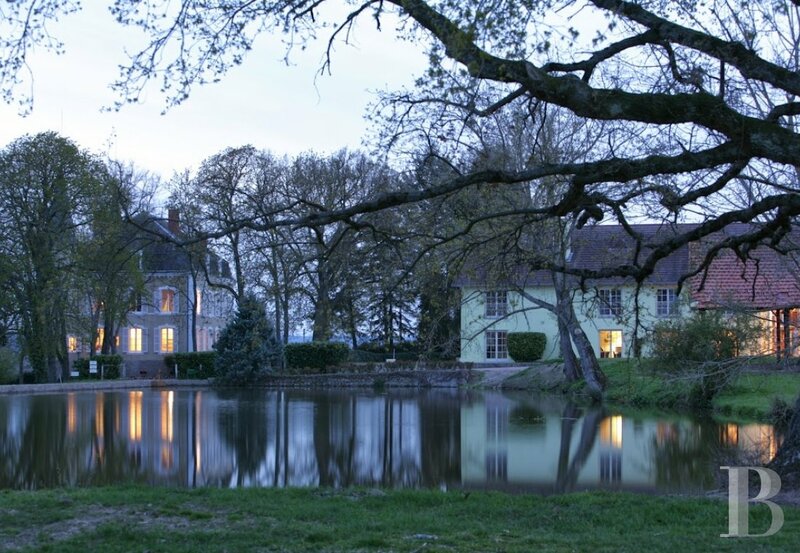 This estate, on the outskirts of a village, stretches over approx. 48 hectares of undulating land featuring several lakes. 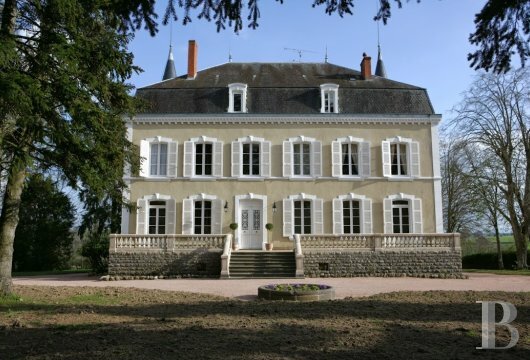 It comprises a private, elegant and comfortable chateau, previously run as a luxury hotel. Spanning approx. 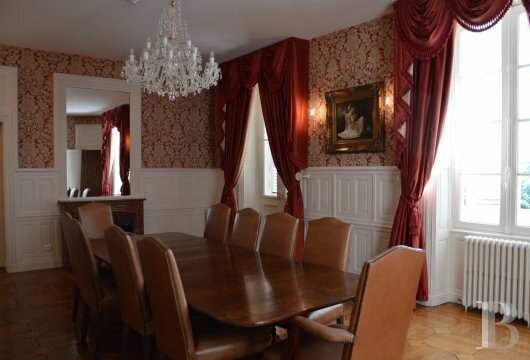 690 m², it includes twelve bedrooms with bath and shower rooms as well as reception rooms. It also has a private, 18-hole golf course and a club-house which included a restaurant as well as rooms used for functions and meetings. 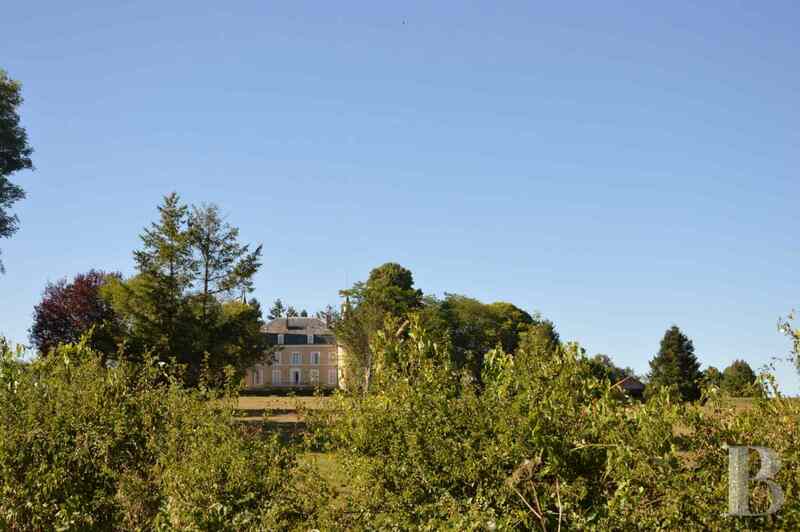 Several buildings, housing a spa and other facilities, complete this property. 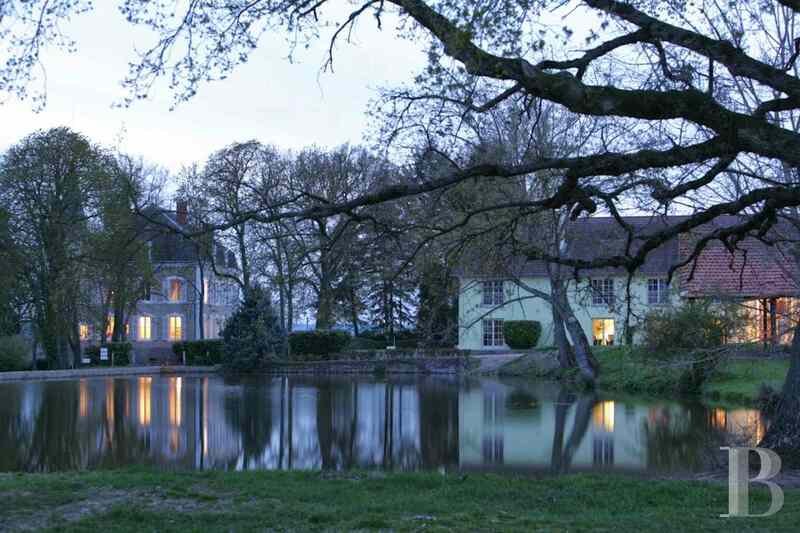 The nearby swimming pool is an additional luxury for this extremely quiet estate. 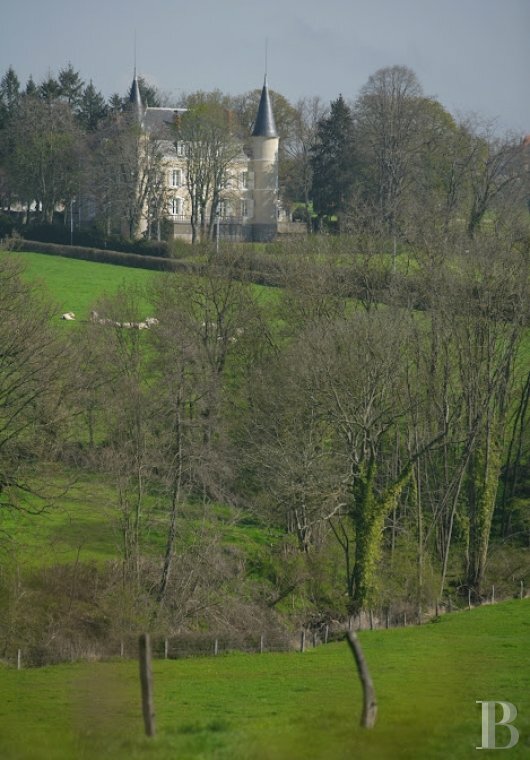 This chateau, standing on the edge of a golf course, spans three levels. The steep slate roofs feature shed dormers. The rendered facades contain numerous, regularly spaced openings. On the entrance side, wide stone steps go up to a terrace, bordered by a balustrade, running the full length of this facade. The garden facade is flanked by two round towers and has a terrace, enclosed by a balustrade. 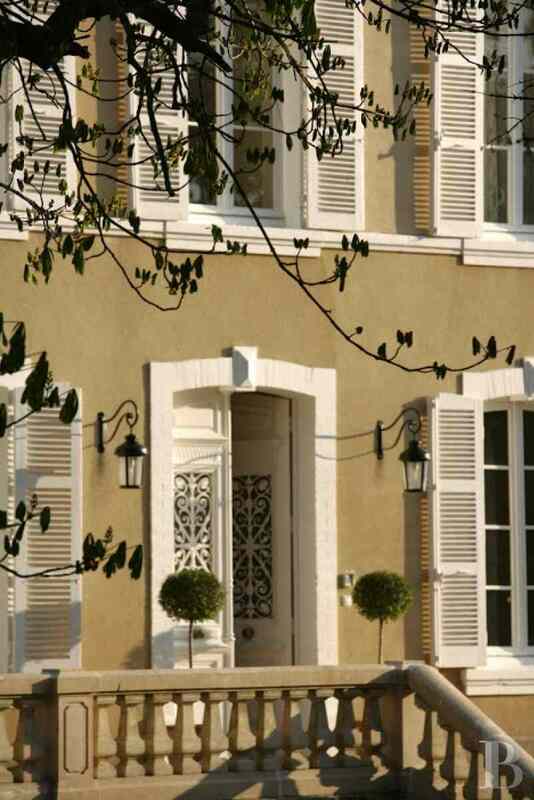 Steps lead up to double wooden doors, the upper sections of which are glazed and protected by wrought iron grills. They open into a vast entrance hall with old cement floor tiles. The ground floor reception rooms are laid out around this hall which houses a wide wooden stairway. The high ceiling reinforces the impression of spaciousness and enhances the doors to the various lounges. A little corridor leads to a study and to a bedroom with its own bathroom and toilet. 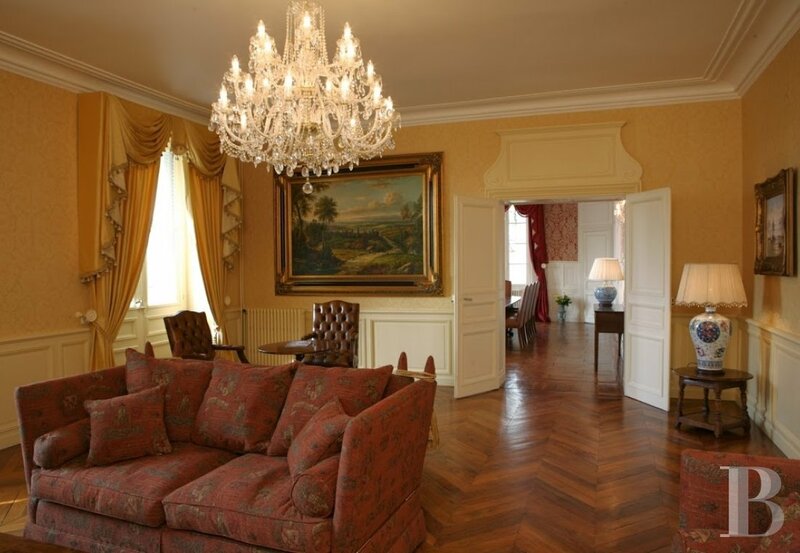 The large reception lounge communicates with the dining room. 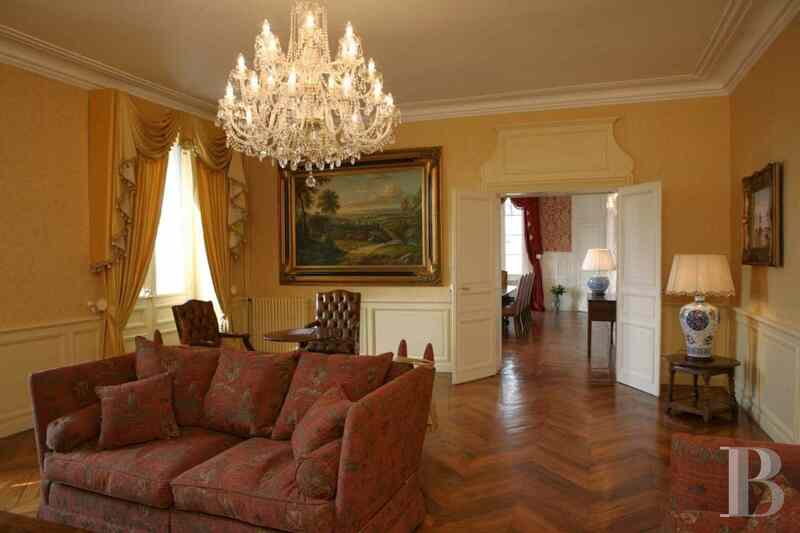 Both state rooms are spacious and bright. 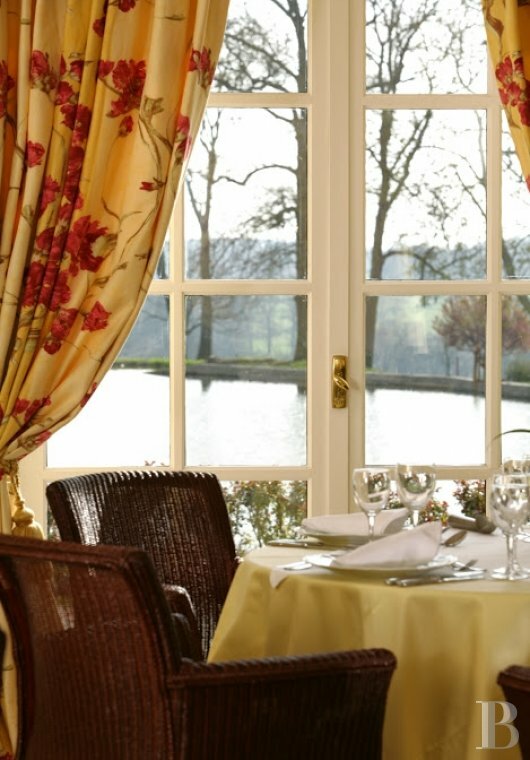 They open on to the terrace on the garden side and have an unobstructed view over the golf course. 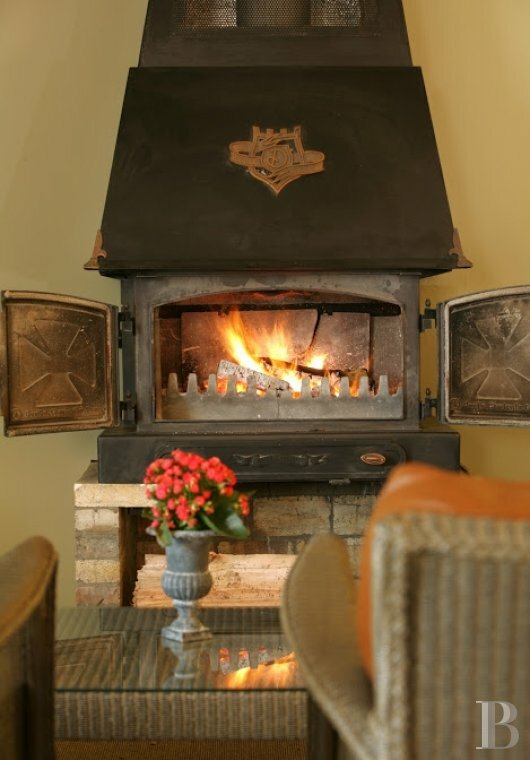 They are decorated with wall panelling and heated via old fireplaces. The moulded ceiling in the large lounge looks down on superb herringbone pattern parquet flooring which is laid in a Versailles pattern in the dining room. A door provides direct access to the kitchens and a pantry. A small, more soberly decorated lounge can be reached from the entrance hall and communicates with the kitchens. A wooden stairway, greatly illuminated via openings, goes up to the first floor. 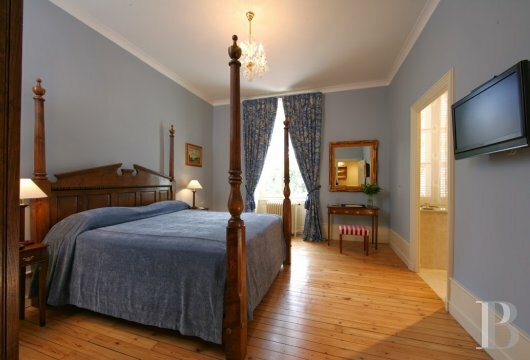 The landing is wide as it stretches the length of the chateau, providing access to six comfortable bedrooms, each with their own bathroom and toilet, as well as a linen room. All the rooms have parquet flooring and some feature an old fireplace. The ceilings are adorned with moulding. The wide, wooden stairway continues up to the second floor, laid out under the roofs and featuring the exposed roofing framework in places. 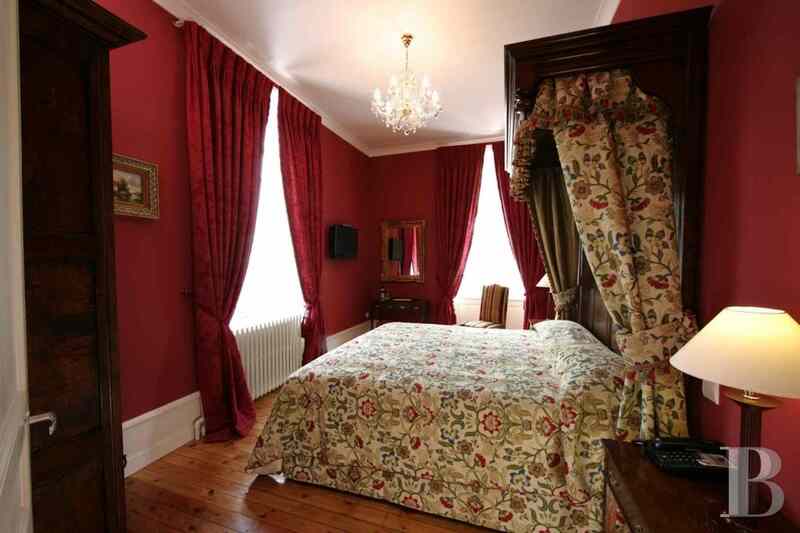 Five bright, spacious rooms are set out on this level, together with a linen room. Each with their own bath or shower room and toilet, these bedrooms have very slightly sloping ceilings. There is parquet flooring throughout. 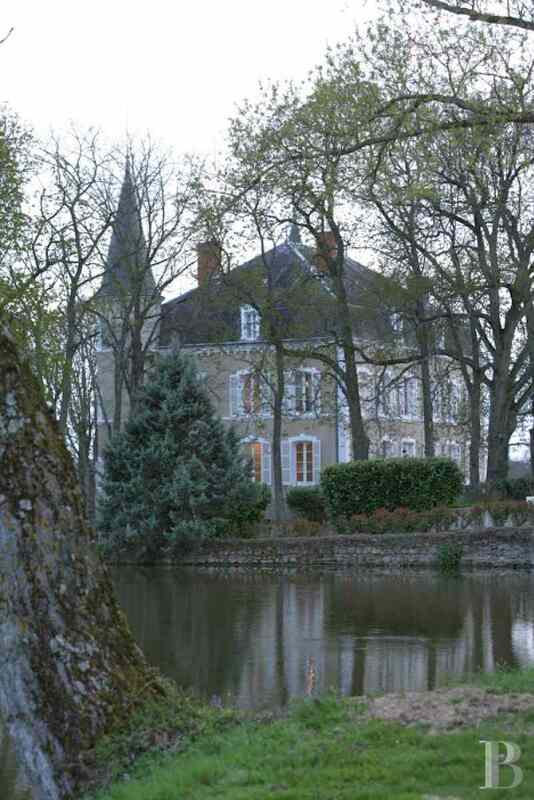 This chateau is built over cellars, illuminated by a series of basement windows. A stairway in the main entrance hall provides access to the cellars from the inside. They are numerous and sound. 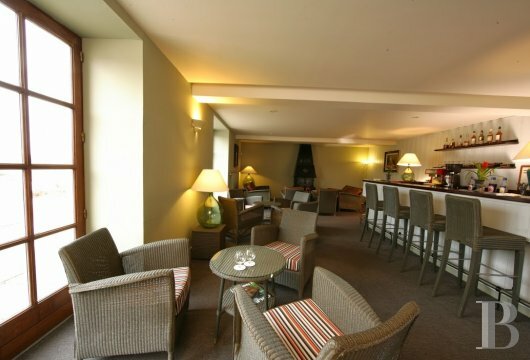 A wide door, under the small terrace belonging to the large lounge, provides access from the outside. Amongst other things, the cellars house the boiler room and a linen room. The 11x5 m swimming pool is flanked by a wide paved terrace. 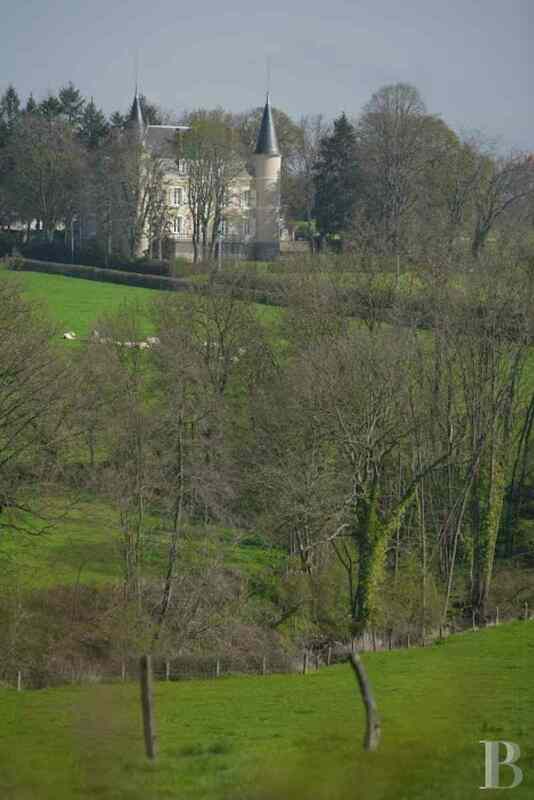 It is installed at a slight distance from the chateau. This spot, ideal for exercise and relaxation, receives the sun all day long. The golf course spans approx. 40 hectares. 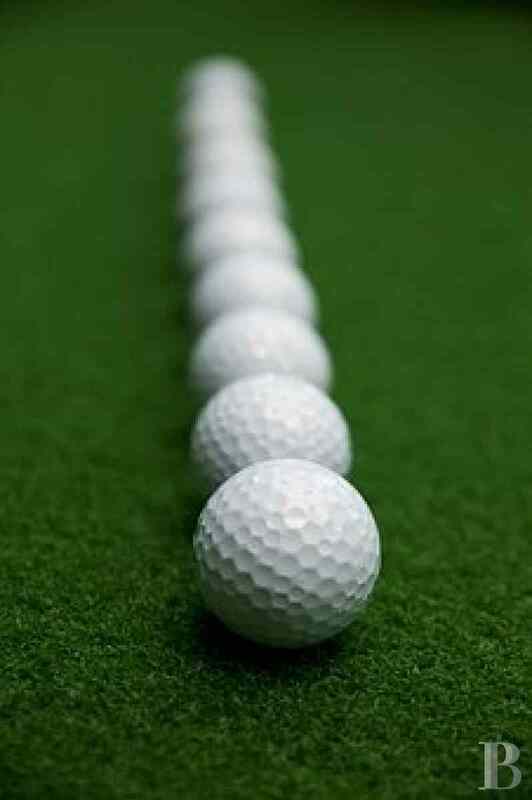 It was designed and created to please both novice and experienced players alike. This par-68, 4,900-metre course holds numerous surprises and features some highly technical holes. The layout is varied and undulating, with dogleg holes, hilly terrain and water obstacles perfectly suited to the most seasoned of players. Watering is carried out via a fully automatic, computerised system. 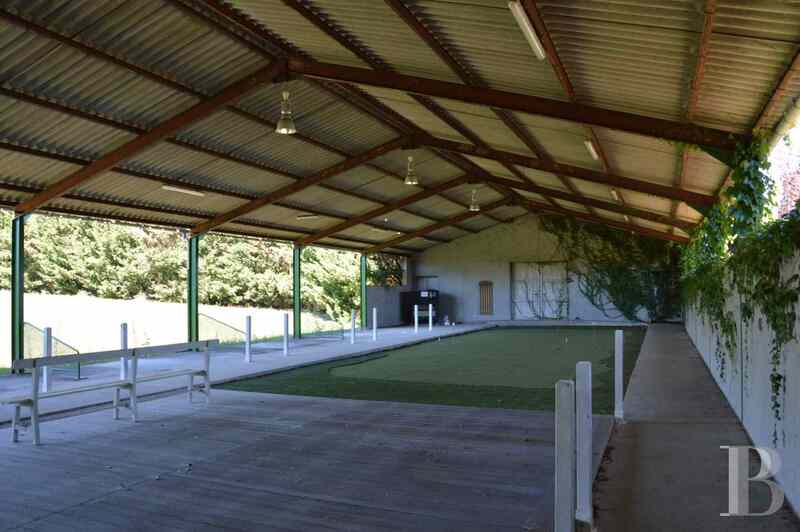 A covered practice area, spanning approx. 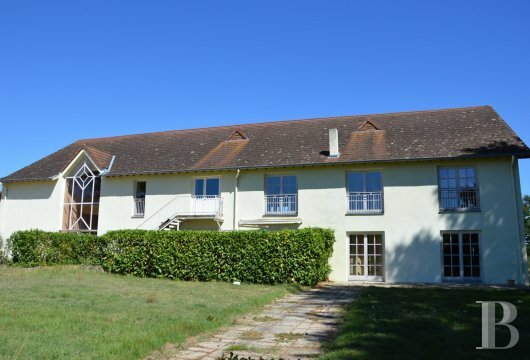 500 m², is on one side of the golf course and includes an artificial Astroturf putting green. The driving range features 8 bays with an automatic ball dispenser. 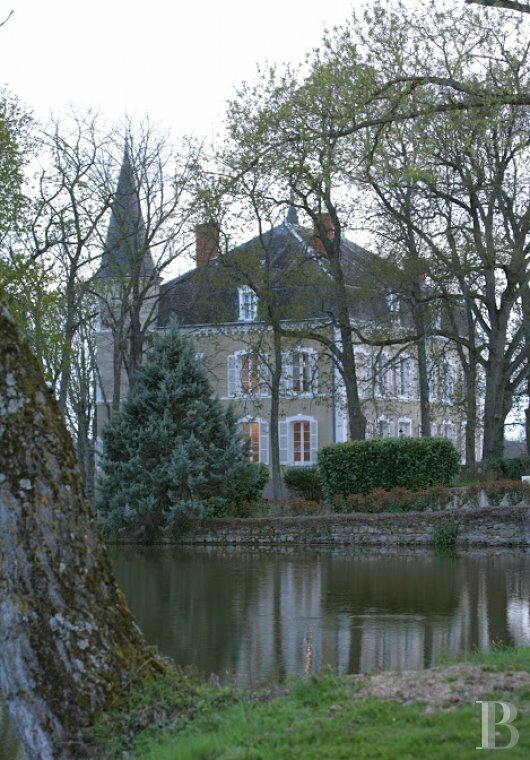 The clubhouse has a different entrance to that of the chateau as well as a large carpark intended for customers of the golf course. This 2-storey building is topped with a gable roof. Its wide windows are symmetrically arranged. An atrium the height of the building marks and enhances the entrance hall. A wide, paved terrace surrounds the building, standing on the edge of the golf course, next to a lake. The through atrium houses a reception area and a wooden stairway that goes upstairs. The vast hall opens, on one side, into a shop intended for golfers as well as to men and women’s changing rooms. On the other side, an eating area precedes a bar featuring a fireplace which creates a warm, cosy atmosphere. A corridor leads to a second, more sophisticated restaurant which is bright and looks out over the outside terrace in the shade of one hundred year old trees. There are also professional kitchens. The double wooden stairway goes up to the first floor. A wide vestibule marks the separation between a kitchen as well as bathroom and toilet facilities and a vast, bright, warm and welcoming function room. The parquet flooring blends with the exposed ceiling beams. 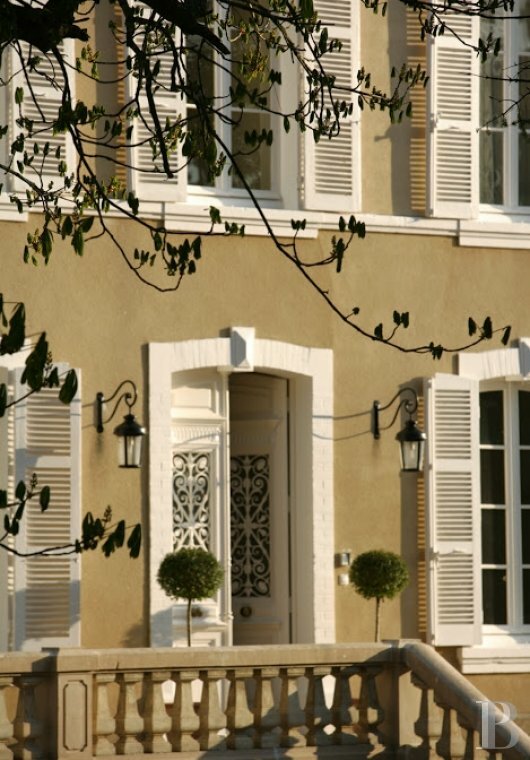 French windows open on to an outside stairway which goes down to the garden. There is a meeting room and an office at the end. This old house, with its facade covered with Virginia creeper, exudes character. 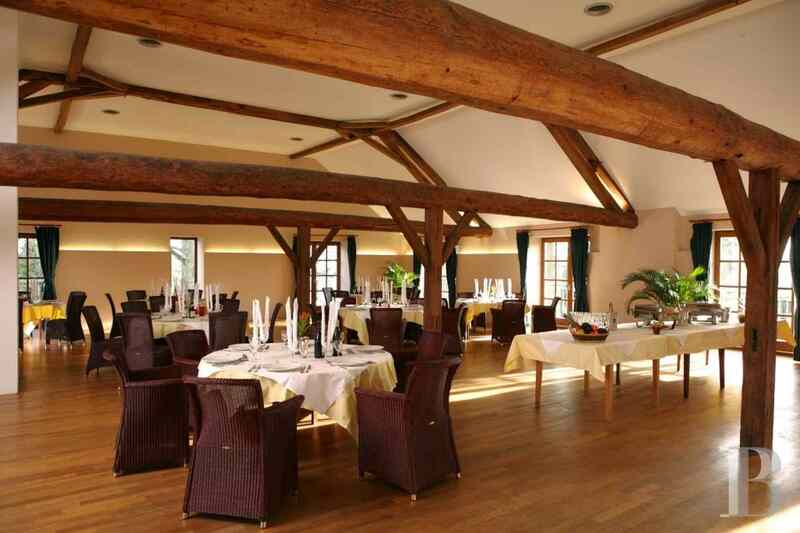 Standing near to the club-house on the edge of the golf course, it spans two levels, topped with a gable roof. 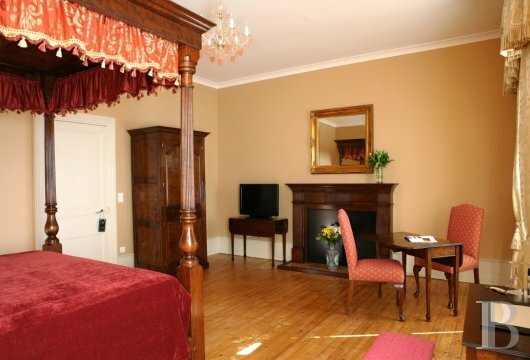 The ground floor comprises the hotel’s thirteenth bedroom in the form of a suite intended for disabled persons. Other rooms on this level are used for storage purposes and one houses the green irrigation system. Two stairways provide access upstairs to the bedrooms, each of which has its own bathroom. A long gallery, supported on wooden pillars and covered with red tiles, stands facing the club-house and precedes the golf course. It houses a vast, covered reception area by the side of the lake. A large building, used in the running of the golf course, makes it possible to store tractors, lawnmowers and other pieces of equipment used for maintaining the greens. Spanning a ground surface area of approx. 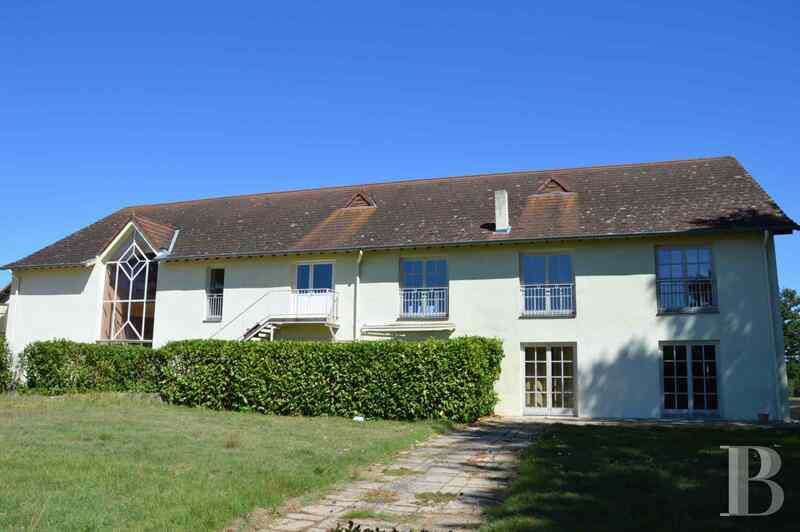 900 m², it could also be converted into a health centre with a spa bath and massage rooms or into additional suites. Another building is used for storing golf carts and other pieces of golfing equipment. It spans a ground surface area of approx. 250 m². It could equally be used for a variety of purposes in accordance with requirements. The workshop is a closed area, spanning approx. 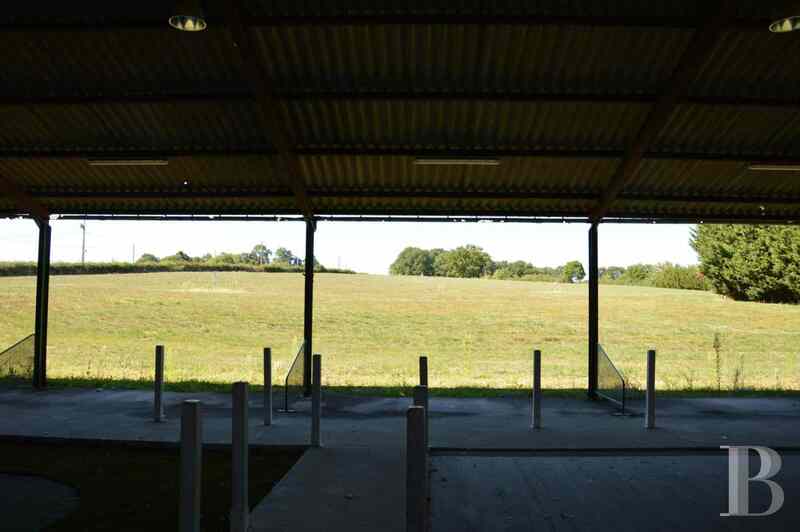 300 m², right next to the practice area. It is used for housing all kinds of machines and tools for maintaining the fairways. 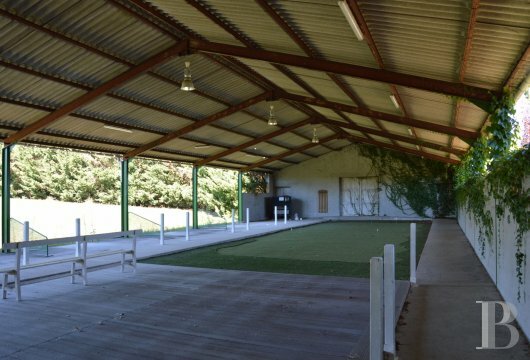 A large, open farm shed stands near to the carpark and the driving range. Brionnais is one of the most beautiful of France’s little regions. At night, when the sun sets over the river Loire, the backlighting effect on the trees and hedges lining the grasslands creates a scene that would have inspired the great 17th century landscape painters. It is therefore to a doubly attractive setting that golfers will return once the estate has re-opened. 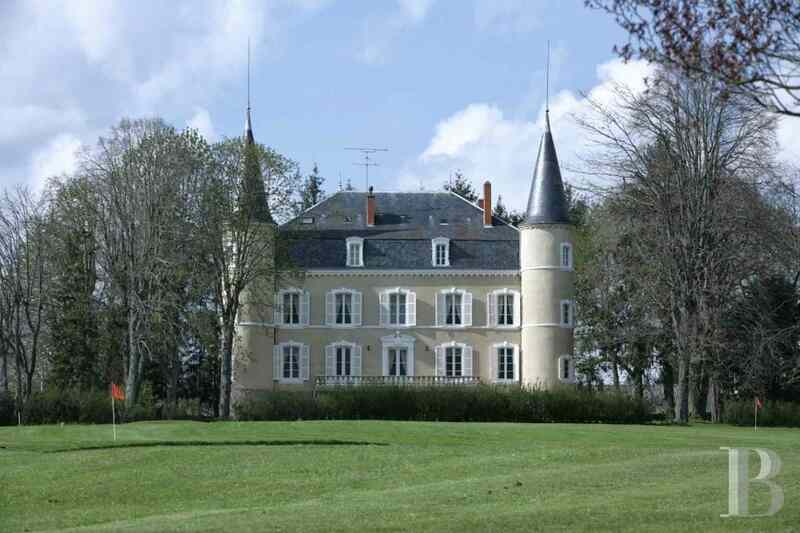 This classical chateau is flanked by two round towers, topped with candlesnuffer roofs. It has all the facilities required for a course designed to satisfy players of all levels. The boundaries of the 48 ha of grounds could be extended through the purchase of additional land. A change of scale could also be envisaged with the construction of a hundred or so villas on the edge of the golf course. This estate is currently free of any rental or management contracts.